Some BUICK Car Manuals PDF & Wiring Diagrams are above the page. Buick engaged locksmithing. Born in Arbroath (Scotland), David Dunbar Buick experienced "rebirth" at the age of 30 years, especially when he became interested in gasoline engines. Soon he gave up his work and, by 1900 he had already produced an impressive number of engines for agriculture and boats. Buick's passion for engines has led to the creation of his own company called Auto-Vim and Power Co. Since not enough after the founder, by 1903 it was replaced in the title in the Buick Manufacturing Co. In the same year, company executives have gone on further simplification of the name, abandoning the «Manufacturing» on the label. Once the problems of corporate style and appearance have been completely resolved, Buick has focused on the development of automobile engines. Emphasis is being placed on the effort to work soon repaid Buick good coin, when he appeared OHV engine, bringing us great recognition. This recognition came mainly due to the strategic location of valves, which allowed to establish Buick engines in confined spaces, providing easy access for drivers - unlike most car engines of the time. Although Buick and his main duo of engineers, Eugene Richard and Walter L. Marr, managed to avoid some of the important engine-building challenges, the brand entered the stage paradoxically slow sales. Financial difficulties, which have led to the fact that by September 1903 David Buick and his financial backer Benjamin Briscoe Jr. the company sold a company that produces cars in the city of Flint (Michigan), 60 miles from Detroit (the former headquarters of the company's Buick). Fortunately, Buick factory was entirely moved to The Flint, which allowed David Buick, who at that time held the post of manager in the future to focus on their work. Despite the construction in 1904 of the first Flint Buick, Model B, by the time the year-old merger of Flint-Buick was a few inches from financial difficulties. And so it happened. Success has left the company, which had no other alternative but only to ask for help. James H. Whiting, manager of Flint Wagon Works, began talks on the status of the company with William C. "Billy" Durant, King Flint crews and future GM (PDF Manuals page) boss. Scent Durant on business, as well as his uncanny intuition and promotional skills later Buick pulled out of the pit into which it fell, dragging the company into a niche luxury and glamorous auto show. Although Durant was not a big fan of cars, he immediately saw the potential of selling Buick models, and was convinced that he had found a "gold ore". Due to the ease and strength Buick has established itself in the dirty areas and climbing in the mountains, and Durant ordered to produce 1,000 units, when the company reached a threshold of 40. Although there have been many changes, such as the construction of a new Flint plant and partnership with the Charles Stewart Mott (supplier spindles and future head of GM), it is Durant Buick saved from imminent extinction. Durant was not content merely to ensure the success of the brand Buick, and went on conquering the racetracks. His team formed of Louis Chevrolet and Wild Bob Burman (among others), has won a total of 500 trophies only from 1908 to 1910. The reason why the Buick enjoyed such great success, was that in 1908, he became a leading automobile manufacturer country, releasing a 8820 car units. But this was not enough, the new model 10 has exceeded all other sales, including a 4002 units produced. Buick popularity has grown so much that Durant has provided the basis for the birth of a large holding. Thus, there was General Motors. 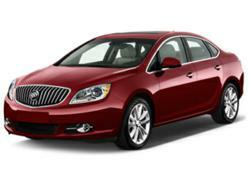 When came the 20s, Buick bathed in the incredible popularity, becoming the top brand of the car for the world leaders. In the breaks between receiving recognition, Buick was busy crossing the finish line and drinking champagne from a height of the first places racing podiums all over the world. In fact, Buick almost conquered the whole world, its cars have participated in major expeditions and crossings, for example, the first trip on a motorcycle in Afghanistan in 1923, under the control of Lowel Thomas. Nevertheless, at the end of the 20s there were not very good news, when the Great Depression swept the country, killing many companies. Read - LINCOLN Car Manuals PDF & History.